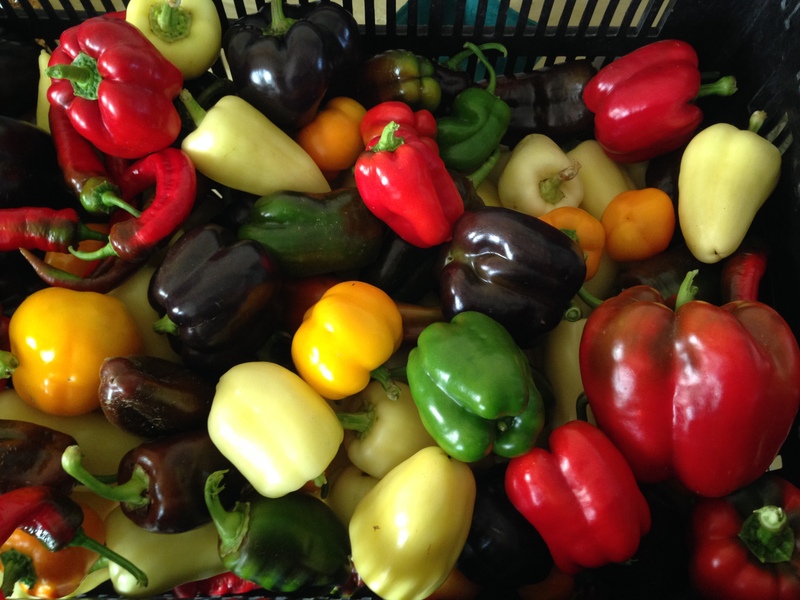 September 15, 2014 secondwindcsaLeave a Comment on Week 16: Greens Galore! Salads are back! 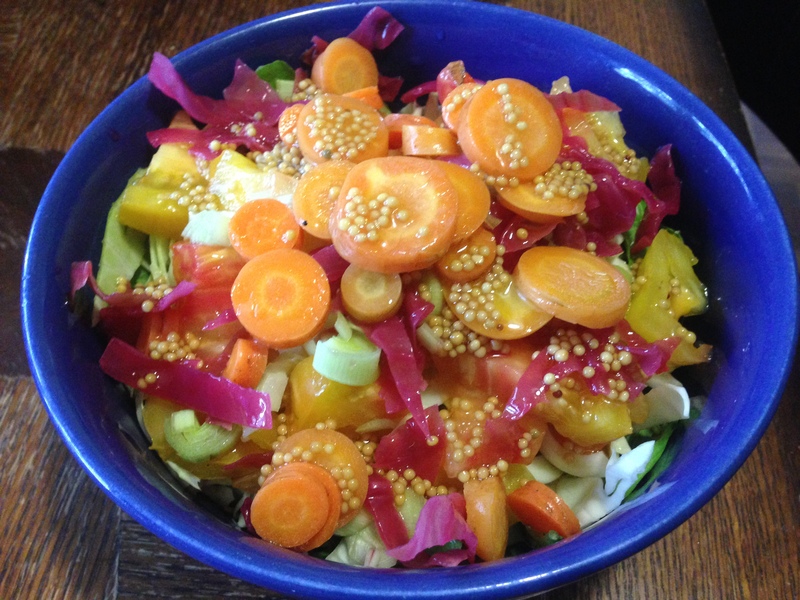 We topped this one with tons of veggies, including colorful sauerkraut and carrot pickles made earlier in the season–the more toppings, the better! 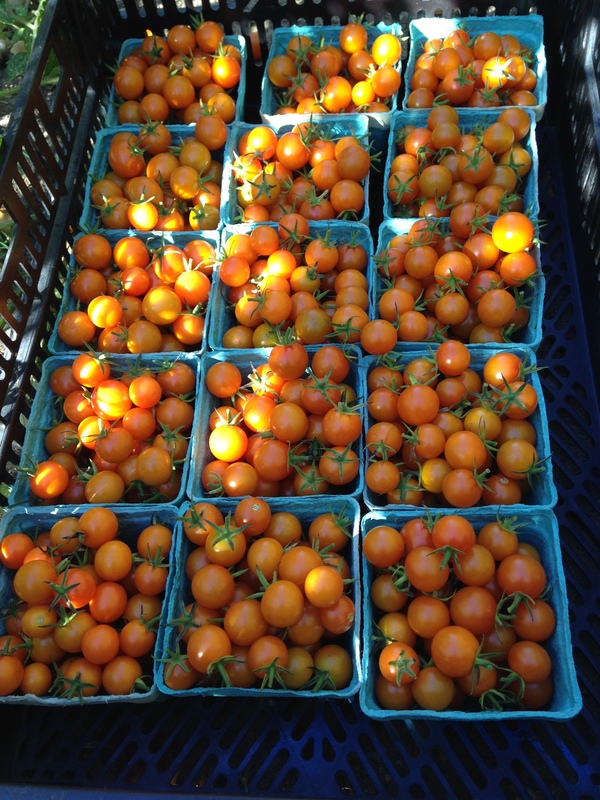 After those scorching days last week (and the insane tomato harvest they produced for you! ), it’s now feeling like fall out there. I spent a cold and rainy day at market on Saturday, and these chilly nights have us digging out our sweatshirts for the early mornings and late evenings on the farm. Remember those Buttercups from last week, sweetening up in the greenhouse? Some giant Butternuts got jealous and decided they needed to join in the fun! I don’t know about you, but this weather also has us anxiously awaiting the arrival of all those wonderful and hearty fall foods. We got a little head start on this by taking home some damaged winter squash and turning it into a creamy, spicy soup. Definitely something for you to look forward to. But for now, you’ll be able to enjoy all of the amazing greens that are loving this weather so much! It seems to me like we just planted these things yesterday, but the farm is now covered in yummy greens, so get ready to eat! 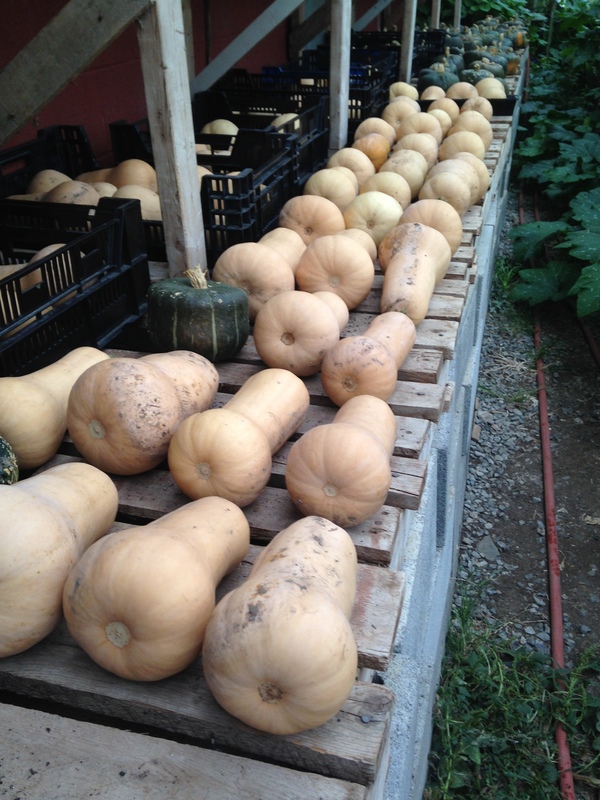 ….and we have some “maybe” items on our harvest list, so we’ll see if we can add in some other surprises! 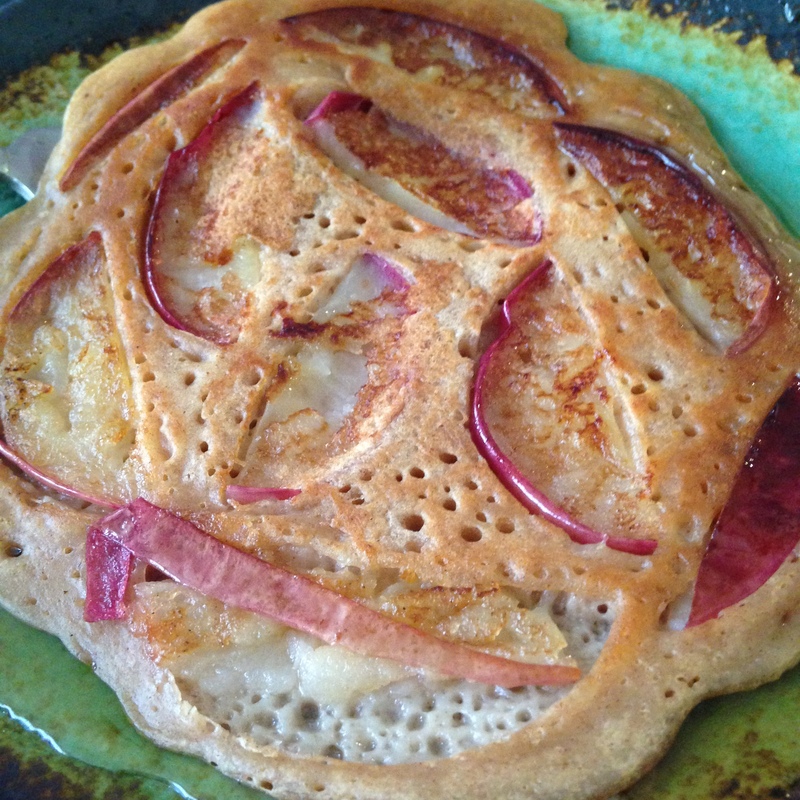 Putting some leftover apples to good use in pancakes. Sunday breakfasts are the best! Enjoy the week, and see you soon! 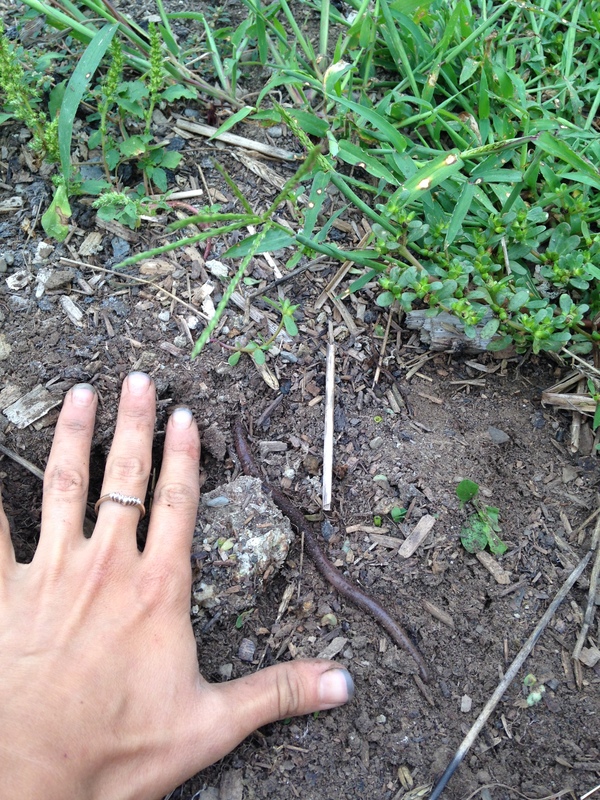 Weeding gets us up close and personal with the giant worms living in our soil! Previous Week Fifteen, Eat Your Beans!